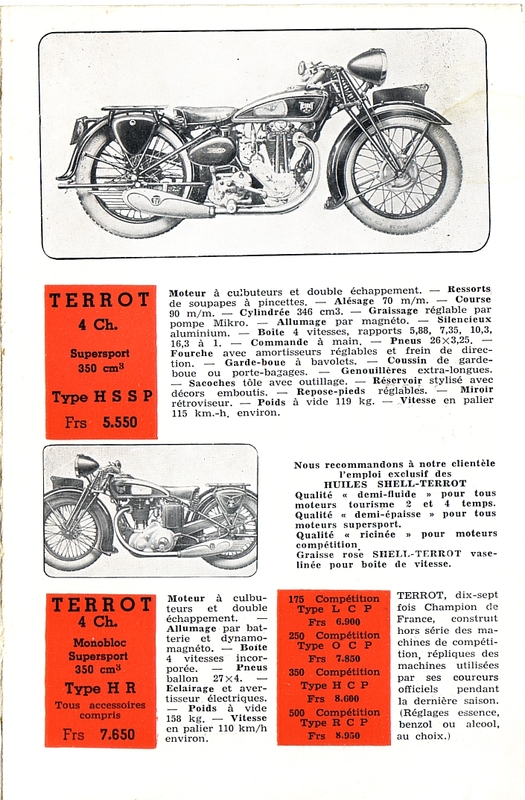 The Terrot brochure for 1937. A very full range of machines from autocycles all the way up to big v twins. Though thought of as French to the core the Terrot concern was originally set up in Germany in 1862 and then opened up a branch factory in Dijon in 1887. 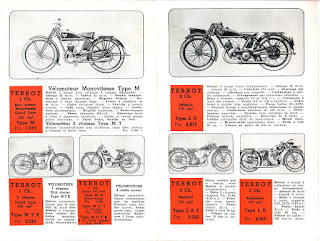 The first Terrot bicycles were produced in 1890. 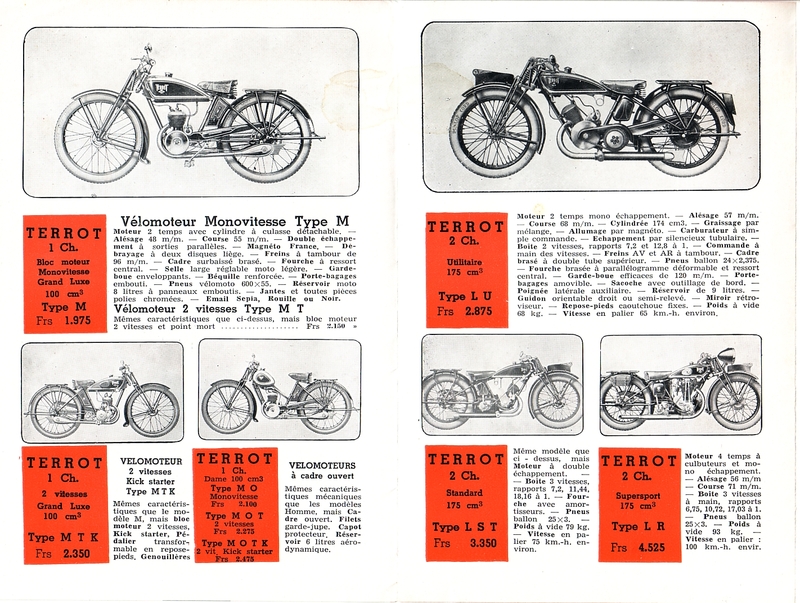 Terrot were one of the pioneer motorcycle manufacturers building their first machine in 1902. Production continued all the way through to 1961, though they were taken over by Peugeot in 1958. 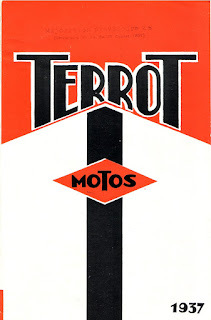 To the best of my knowledge Terrot motorcycles were never imported to the UK although they were a significant volume producer. This brochure is naturally enough in French. It is a fold out brochure, I've scanned it in the order the pages appear. 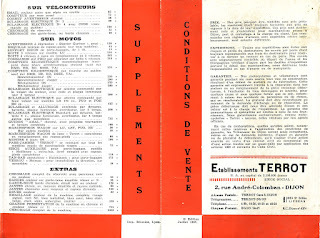 If your French is up to scratch and you'd like to know more you could do worse than visit the terrot.org site. 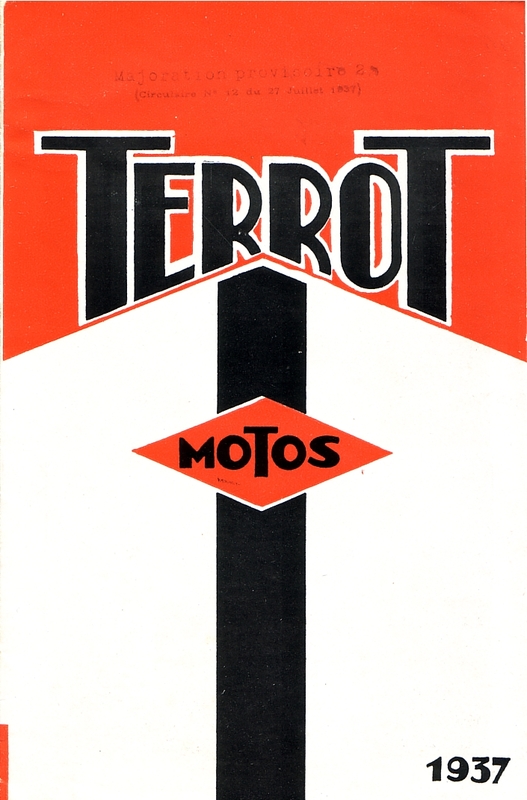 1937 Terrot brochure front cover. 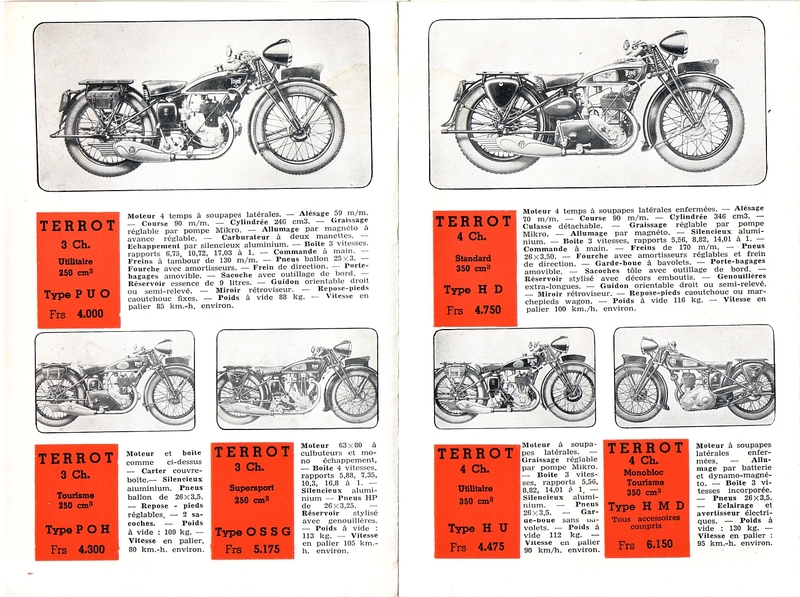 1937 Terrot brochure pages 1 & 2. 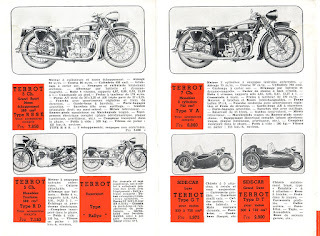 1937 Terrot brochure pages 3 & 4. 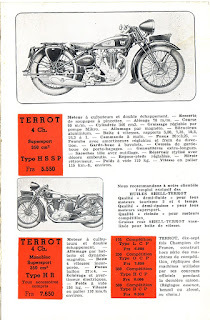 1937 Terrot brochure page 5. 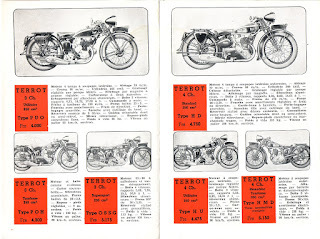 1937 Terrot brochure pages 6 & 7. 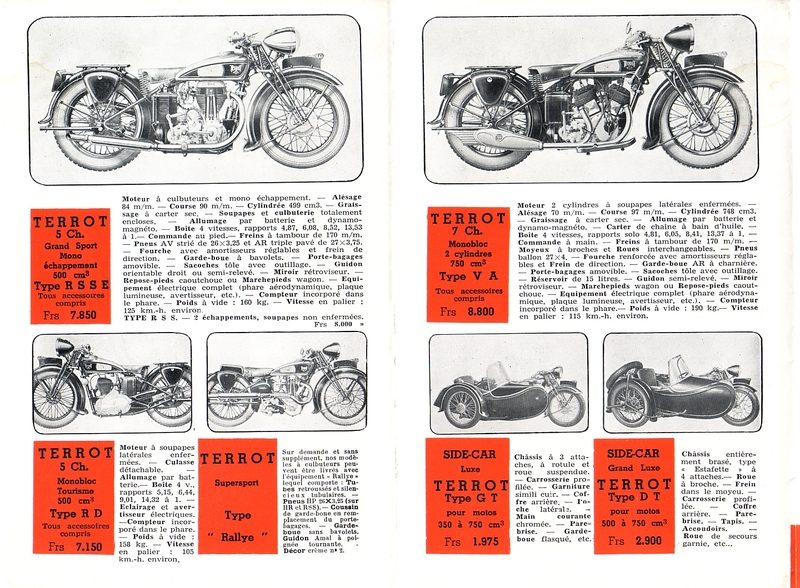 1937 Terrot brochure pages 8 & 9. Panther sold Terrot Scooters under the Panther name in the late 50s. Not a roaring success. I should have remembered that - I've got a brochure for the Terrot scooter sitting around at home. Failure as it was it didn't deter Panther from sinking their dwindling funds in to the Princess scooter a few years later!